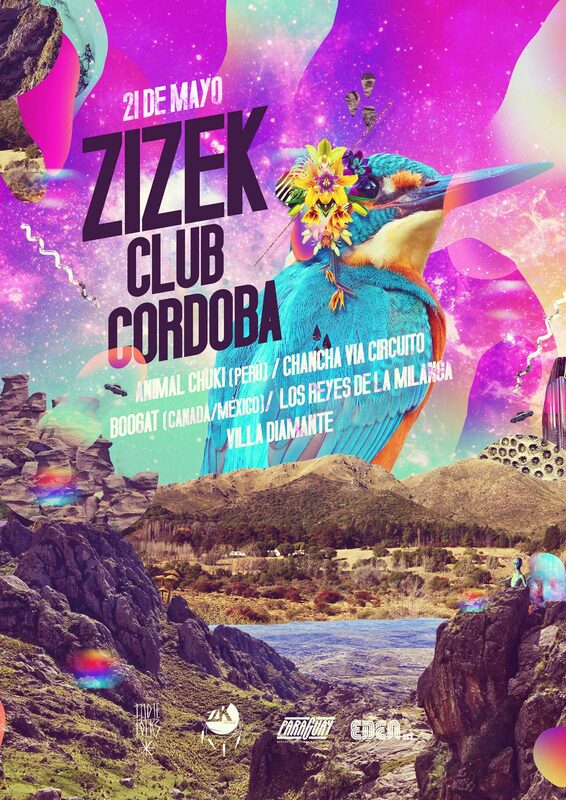 Carolina has recently designed these flyers for Argentinian record label Zizek’s upcoming event at the end of May. Zizek are an independent record label who represent artists that combine traditional Latin American genres with electronic music. They bring these artists together and not only release their music but also organise events. Carolina’s artwork is inspired on the spiritual capital of Argentina, Capilla del Monte, home to a mystical mountain with hundreds of reported sightings of strange lights and UFOs. If you look closely at the digital collage you can find a friendly alien. By the looks of it this is going to be a celestial night, if you want to join the cosmic party have a look here.